National Children’s Dental Health Month is celebrated every February. This is the 75th year since the American Dental Association started promoting that good oral hygiene and a healthy diet lead to healthy teeth. This entire month is used to promote the benefits of good oral health to children, their parents/guardians, teachers and any others that influence and care for children. Developing good dental habits at a young age along with regular dental visits and care, will lead to a lifetime of good dental health. *Dental decay is the most common chronic disease of childhood. *Dental decay is 5 times more common than asthma. *Dental decay is 7 times more common than hay fever. *Over 16 million U.S. children have untreated tooth decay. That’s 25% of children between 2-5, and 50% of children between 12-15. 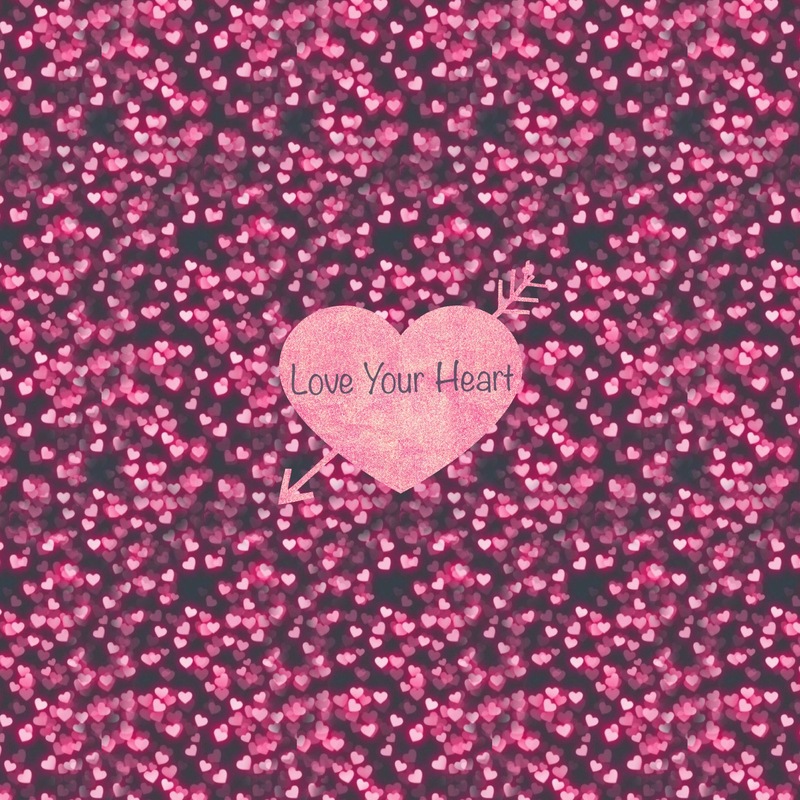 *Of 4 million babies born in U.S., more than half will have cavities by the second grade. *American children miss more than 750,000 school days every year. This equals 51 million hours of education lost. *Dental visits are the #1 reason children miss school. *Only 44% of U.S. children brush their teeth twice a day. *Tooth decay is almost entirely PREVENTABLE. Starting early is a must for a lifetime of good dental health. There are several ways to do this. Protect growing teeth by drinking fluoridated tap water. If your community does not have fluoridated water, check with your doctor about supplemental fluoride drops. Also, check and clean baby teeth as soon as they erupt. You can do this by wiping them with a washcloth or toothbrush, at least once a day. Additionally, if there is any discoloration evident in baby teeth, consult a dentist. Most importantly, make sure your child eats healthy food and snacks, limiting both sugar and junk food. NEVER give a bottle with milk, formula, juice, or soda to a baby/child at bedtime. 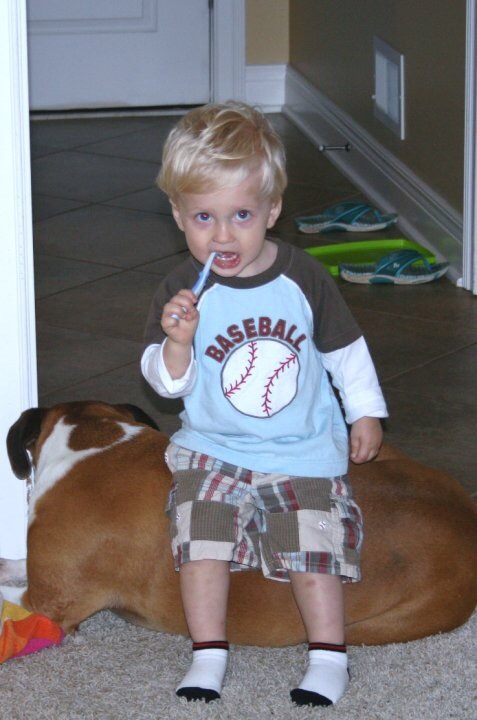 Good oral hygiene starts and ends at home with the parents/guardians. The rule of thumb, is that if a child cannot tie their own shoes, then they generally don’t have the hand dexterity to brush their own teeth properly. So it’s best if the child brushes, and then an adult brushes them again to get those hard to reach spots. This should occur twice a day, especially at night. 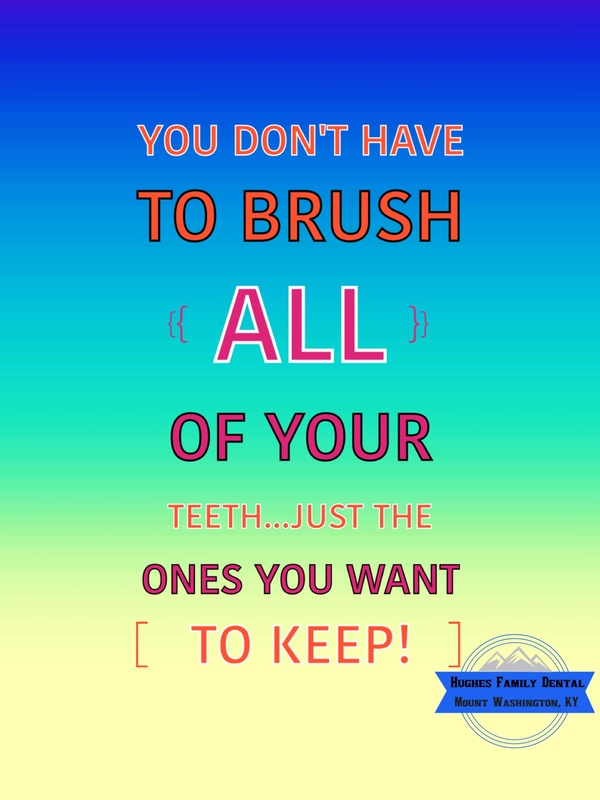 An easy saying to remember is Brush Your Teeth 2 Minutes 2 Times a Day! This will greatly lessen the chance for cavities. A great site for both kids and adults to visit to learn more with videos, crafts and games is 2min2x. Good dental hygiene at home is a must! The first dental visit should occur between age 1 to 2 (six months after first tooth erupts), earlier if there are any visible dental problems. Keeping the visits regular (every 6 months) is also very important. This is important for two reasons. Dental problems can be detected when they are small and fixed easily if the dentist sees the child every 6 months. Additionally, a child will be more comfortable with the dentist if seen regularly. Visit our website for more info about the first visit and tips to a successful first visit. The dental team can also help provide several preventative treatments like sealants and fluoride that will lessen the cavity risk. 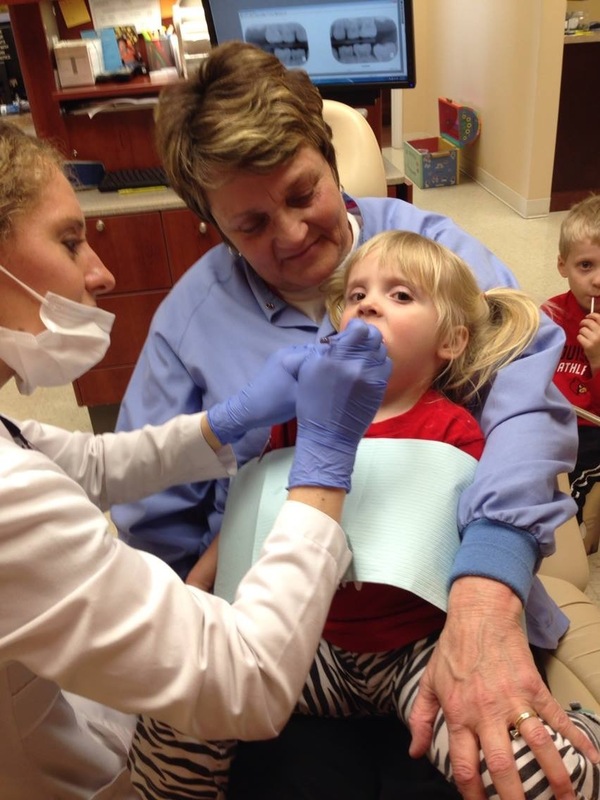 Ellie sits on her Grandma’s lap for her first dental visit at age 2. Tooth decay happens when plaque (normal bacteria that grow in everyone’s mouth) comes into contact with sugar in the mouth, causing acid to attack the teeth. This sugar of course comes from candy and soda, but can be hidden in lots of other foods or any food that is converted to sugar. These include juice, cookies, pastries, chips, and most junk food. The best diet is one full of fruits and vegetables, and the other main food groups, and limiting sugar intake. Drinking lots of tap water both serves to rinse debris away from teeth when brushing is not an option, as well as add strengthening fluoride to the teeth. 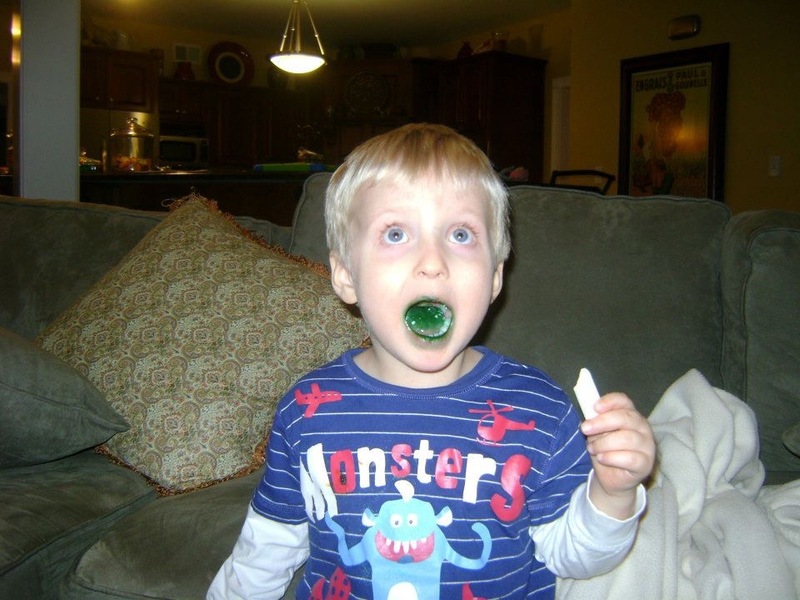 Limit sugary foods-especially if it gives you a green mouth like Dr. Hughes’ son. Crest has a great website and info for teachers, parents, and Disney activity sheets for kids. 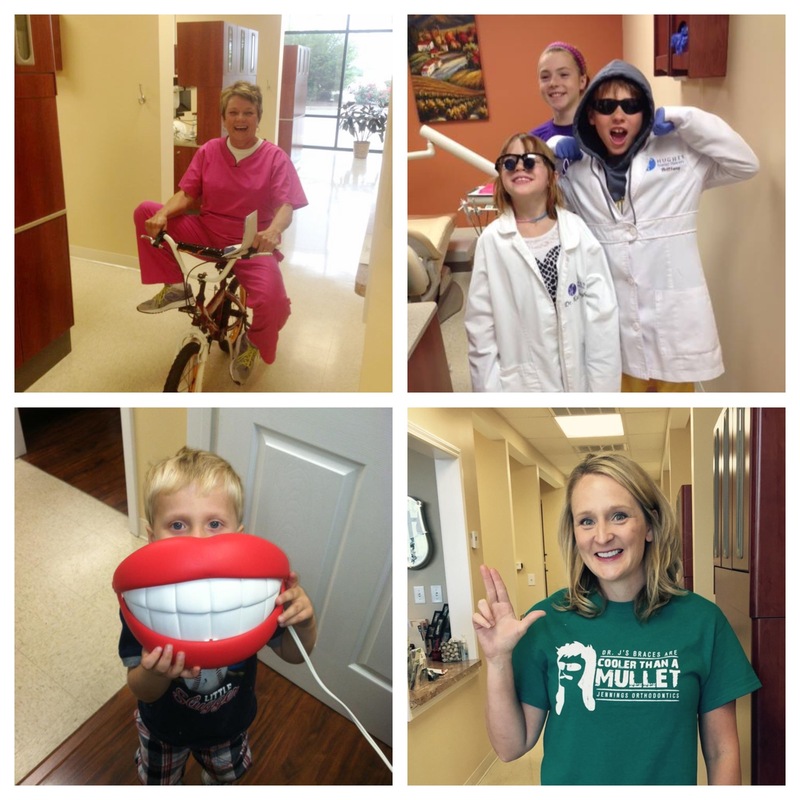 HELP CREATE HEALTHY SMILES FOR LIFE!